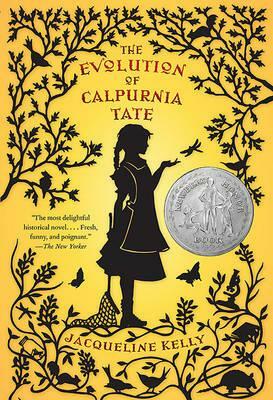 Calpurnia Tate is whip smart, feisty and funny—very funny. Her life as an almost twelve-year-old on an 1899 Texan cotton farm might be different from today but Callie’s way of describing her six boisterous brothers, unfathomable Grandaddy and tiresome house chores had me snorting with delight. Callie’s inquiring mind takes flight when her Grandaddy sets out to teach her the secrets of scientific discovery. With little more than a notebook for making observations, Callie learns the mystery and wonders of evolution in her backyard at a time when the concept of evolution was considered heresy. While Callie dreams of becoming a scientist, her mother wants to prepare her for domestic life. What are the possibilities for a girl at the turn of the nineteenth century? Can Callie achieve her dreams or is she damned to a life of knitting, darning and baking? This is Calpurnia Tate’s battlefield. While much of Callie’s tale is laugh-out-loud funny, there’s heartbreak and the despair of being female in 1899 Texas. Callie’s unresolved tale will linger with me for a very long time.